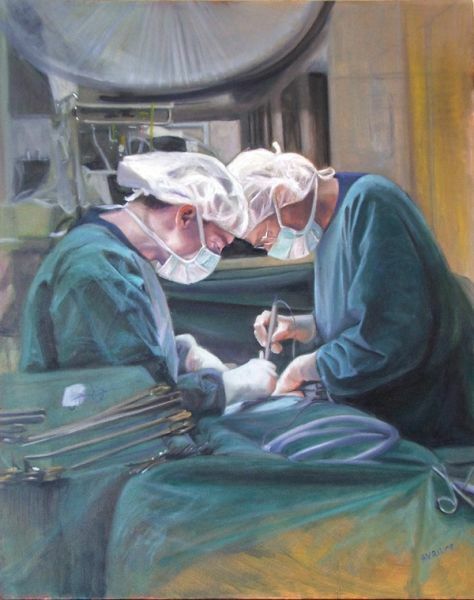 In 2009 Avril Thomas worked as artist-in-residence in Operating Theatres, Flinders Medical Centre. The aim of the project was to capture portraits of a variety of staff members and to provide a rare glimpse inside an operating theatre through the eyes of an artist. The artwork profiles staff at work, highlighting the technical skill, concentration and precision involved in a surgical operation. The residency culminated in an exhibition in the FMC Promenade Gallery A.